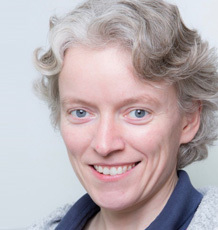 Vicky is a Senior Lecturer in Sport and Health Sciences at the University of Exeter. Her current work focuses on the development and use of accelerometry to quantify habitual activity relevant to bone health and training loads relevant to injury risk in sports. Vicky also has expertise in biomechanical aspects of player-shoe-surface interaction to improve performance and reduce the risk of injury specifically in tennis (Ph.D.) and natural and artificial turf surfaces (postdoctoral research in collaboration with Cranfield University) and works with industry to provide biomechanical analyses of novel footwear design features. She is a member of Physical Activity and Health Across the Lifespan (PAHAL) and Human Movement Sciences (HMS) Research Groups in Sport and Health Sciences (SHS). Vicky is Programme Director for the MSc Sport and Health Sciences, Academic Misconduct Officer in SHS and a member of the SHS Ethics Committee.